Welcome to the Link Lab! 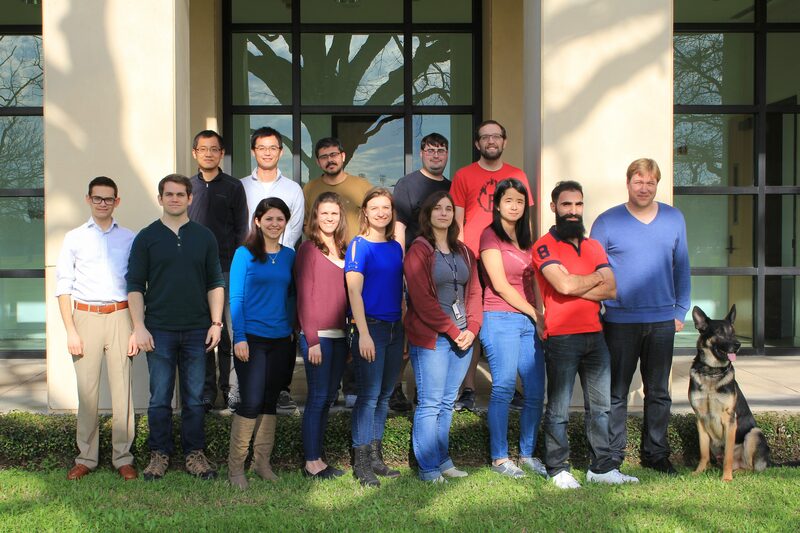 The overall goal of research in the Link Lab is to understand the physical principles that govern the interactions of plasmonic nanoparticles with each other and their molecular environment and to determine the emerging collective optical properties that arise from novel composite nanomaterials. 1) How do the optical properties of nanoparticle assemblies depend on the morphology of the overall structure and what is the role of disorder with respect to nanoparticle size, shape, and positioning? 2) How is the initial plasmon energy dissipated in plasmonic nanostructures and can it initiate chemistry? 3) How do nanoparticles interact with proteins and what is the role of the protein corona on their biological fate? While these questions address mainly fundamental issues, the long-term research is strongly guided by possible applications of assembled nanomaterials as plasmonic waveguides and antennas, active plasmonic displays, plasmonic photo-catalysts, and drug delivery agents based on the principles learned from understanding coupling between plasmonic nanoparticles and their interactions with the surrounding molecular environment. We invite you to take a closer look at our current research projects. Please feel free to contact us if you would like to learn more.